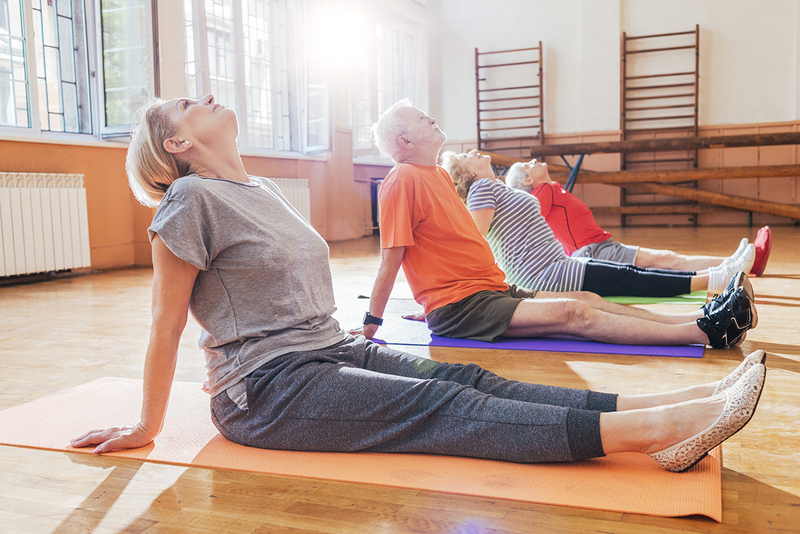 When people talk about the health benefits of yoga, they often focus on the physical aspects—improved flexibility and posture, increased strength and bone density, and more toned muscles. But it can also help reduce anxiety and calm the mind. If you’ve been thinking of unrolling a mat for a class or an at-home yoga practice, the first step is choosing the right type of yoga. Here, Sasha Brown-Worsham, author of Namaste the Hard Way: A Daughter’s Journey to Find Her Mother on the Yoga Mat, breaks down seven of the most common yoga styles, so that you can find the right class for you. Iyengar: In this form of yoga, the teacher works to help students develop proper alignment for each pose. You may be instructed to use props like yoga blocks, belts, and pillows. Best for: Given the level of instruction involved, this is a great style for beginners and older practitioners who have less flexibility. Vinyasa: Unlike other yoga styles that are more rigid in their pose sequences, vinyasa is very free flowing. Each movement focuses on synchronizing breath and movement, which helps induce calmness. Best for: Beginners, those looking to increase muscle tone and flexibility, and anyone who gets bored easily. Kundalini: Less focused on exercise, this style of yoga puts greater emphasis on the spiritual side of the practice. Kundalini yoga is designed to awaken the energy at the base of the spine. Classes typically include breathing exercises, chanting, and meditation. Best for: Those seeking some time for quiet meditation, people looking for a spiritual workout, and those who are less concerned with getting exercise. Restorative: Designed to promote relaxation, this type of yoga usually consists of five to six gentle poses, which are held for up to 15 minutes. Bolsters, pillows, and blocks may be used to help you ease into restful postures. The studio should be dimly lit and calming. Best for: This style is ideal for people who are older or have physical challenges, as well as those who already do a lot of high-impact exercise and are looking for a calming class to add to their routine as a counterbalance. Yin: This is a challenging and difficult practice, comprised of a series of five to seven postures that are each held for five-plus minutes. The poses are not meant to be restful or restorative; instead, they’re designed to deeply stretch the muscles and ligaments that don’t get worked in other flow-type classes. It typically takes place in a darkened room, so it has the benefit of promoting mindfulness. Best for: Those who already have a vigorous workout schedule and are looking for a way to boost flexibility, or athletes returning from an injury. It can also be modified to suit older adults and those with physical limitations. Bikram: Also called “hot yoga,” Bikram takes place in studios heated to a steamy 95 to 105 degrees Fahrenheit (prepare to sweat a lot). A typical class is 90 minutes long and encompasses a fixed series of 26 postures and breathing exercises. The principle is that heat allows for greater flexibility. Best for: Those who’ve already spent a lot of time on a yoga mat. The very thing it’s good for—increasing how deeply you can stretch—also leaves you vulnerable to overextending and causing yourself injury, if you’re not careful. Check with your doctor before taking a class, as the heat may be overwhelming or dangerous for people with certain health conditions. Ashtanga: This is a physically demanding and fast-paced style of practice, so it is not recommended for beginners. This form of yoga involves a prescribed series of postures that become progressively more complex as you progress. It is designed to strengthen and lengthen your muscles. In its truest form, you do it by yourself every day, without an instructor’s guidance. Best for: Those who are already fairly fit and prefer to fly solo and track their own progress.